In today’s work culture of efficiency and cost cutting, working at height requires a new approach than to traditional scaffolding. This is where Rope Access steps in giving reliability and safety in working at height at minimal cost. Recommended maximum body weight of 220 lbs for people up to 6 ft tall. Due to equipment limitations, body weight maximum is 285 lbs. One chin-up (or pull-up); with chin held above the bar. Participants will be asked to perform moderate to strenuous activities. A physical examination by a doctor is strongly recommended. Candidates will be required to sign a Liability Release Form and a Statement of Medical Condition confirming the absence of known medical conditions that might preclude their ability to safely work at height. Additional Notes: For those taking a training course for the first time, please note: arm, elbow and shoulder strains are relatively common for course participants not familiar with working on rope. A short warm up, or stretching routine, before the day of training can help minimize the potential for muscle strains and other injuries. A successful candidate should be capable of performing a range of rope access tasks under the direct supervision of a more experienced technician. This course focuses on more complex tasks required of an experienced technician working under the supervision of a Level III technician. 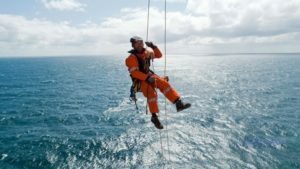 This course focuses on advanced tasks and job management skills required of a technician working as a rope access supervisor.